Undercover complimentary car parking (1 vehicle per room). 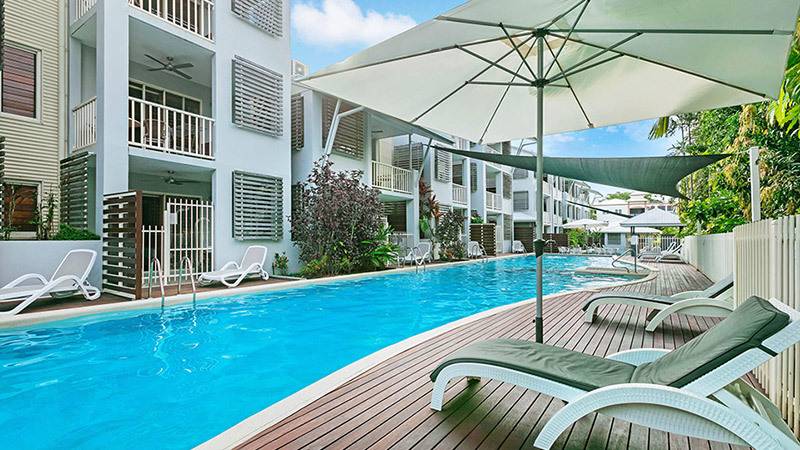 Mantra Aqueous on Port is located in the exclusive beachside town of Port Douglas, with its nautical flavour and convenient location, Mantra Aqueous on Port is the perfect place for a relaxing getaway or family holiday. 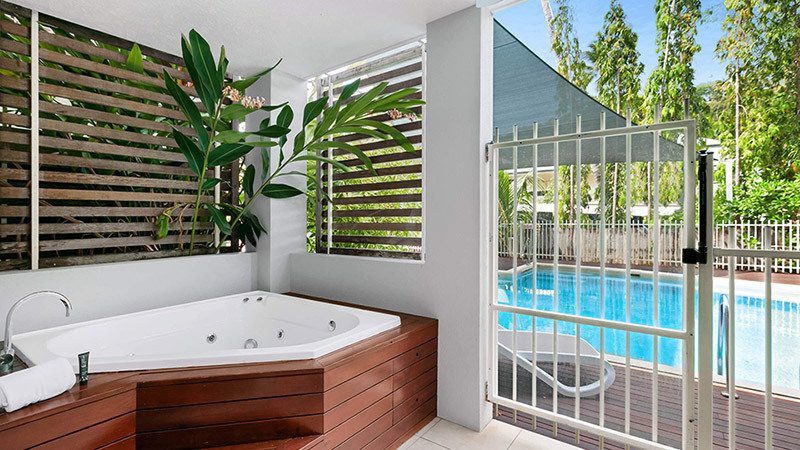 Situated just off Macrossan Street, the hub of the village, our Port Douglas accommodation provides the perfect base to explore Four Mile Beach, Mossman Gorge, the Daintree Rainforest. Or experience the wonder of the Great Barrier Reef where you can dive into the crystal clear waters and snorkel amongst tropical fish and coloured corals. If you're looking for an excuse to truly relax and unwind, laze beside one of Mantra Aqueous on Port's sparkling swimming pools, or make the most of the resort's spas and cabanas with a BBQ to utilise the outdoor dining facilities. 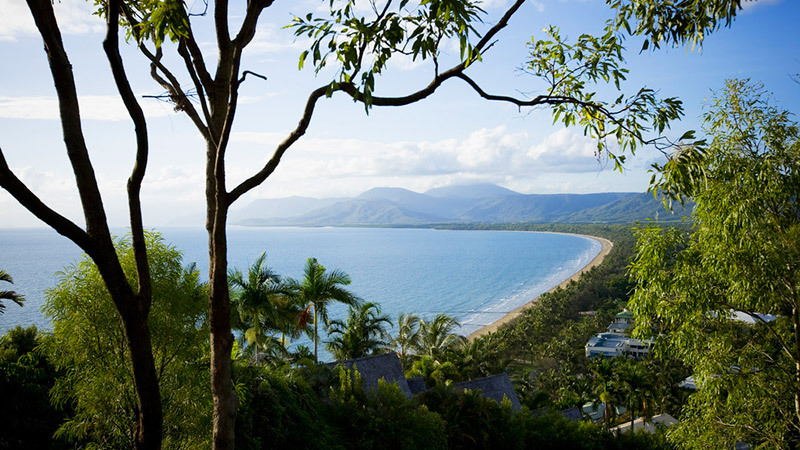 Our Port Douglas accommodation offers convenience and practicality ranging from hotel rooms to self-contained one and two bedroom apartments. 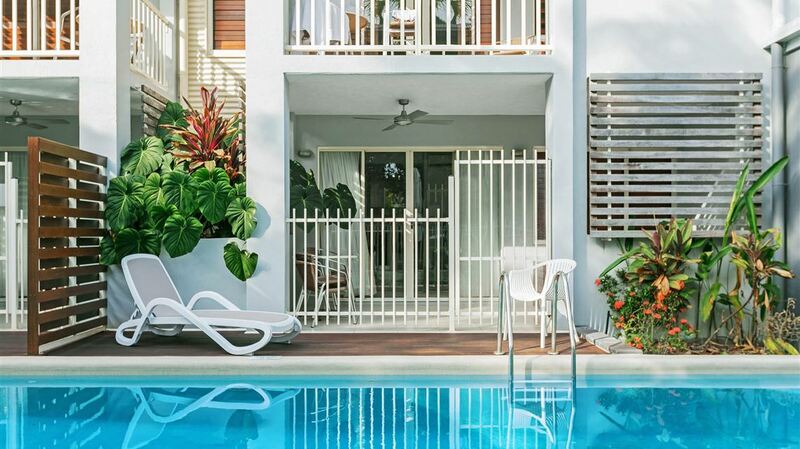 Each room type offers, air-conditioning and modern tropical-style décor and most apartments feature pool views and all have private balconies with their own balcony spa. When staying at Mantra Aqueous on Port there is no end to the things you can do. Wander the quiet streets and sample the array of fantastic dining options that have made Port Douglas famous, or simply relax on your hotel room or apartment balcony while you sip a cocktail and let the world, and your worries slip by.